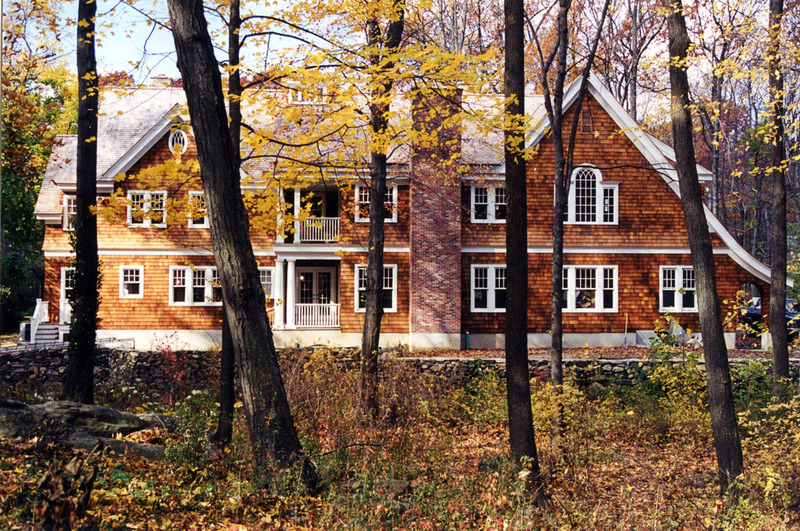 This 7,200 square foot shingle and stone home replaces a nondescript ranch-style house which had occupied the site since the mid-1950s. 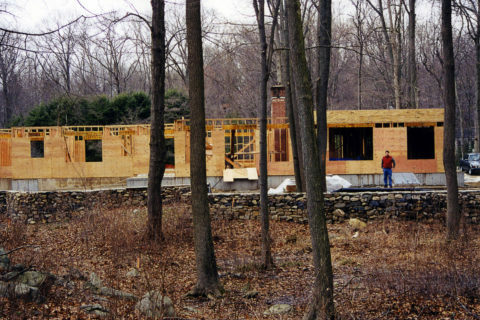 The property is essentially flat with a wooded rear yard offering privacy and year round views. 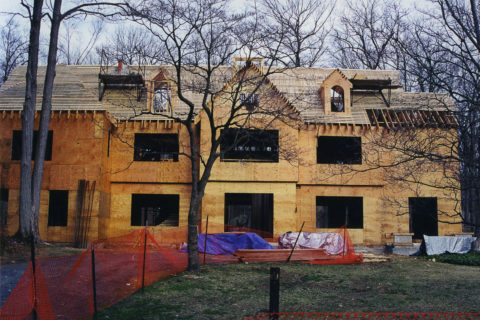 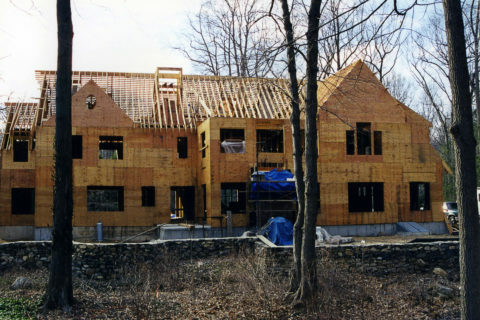 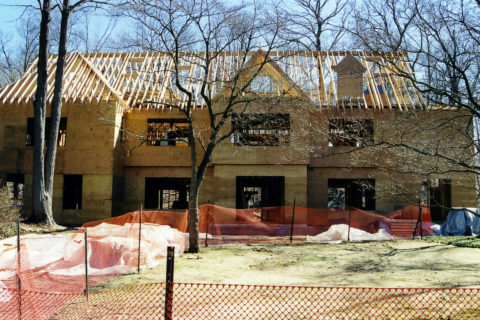 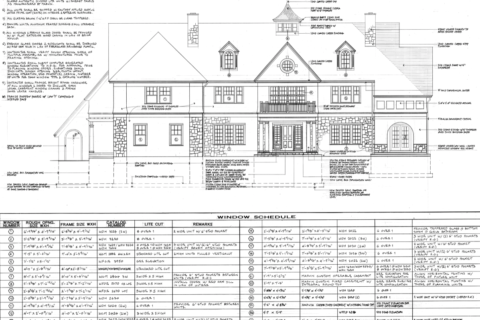 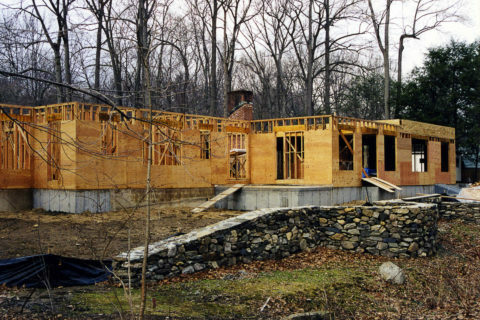 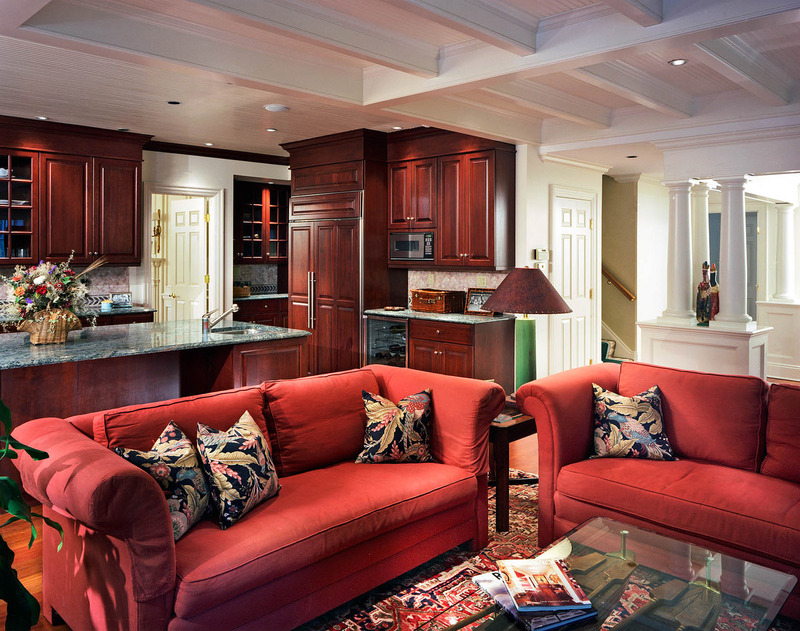 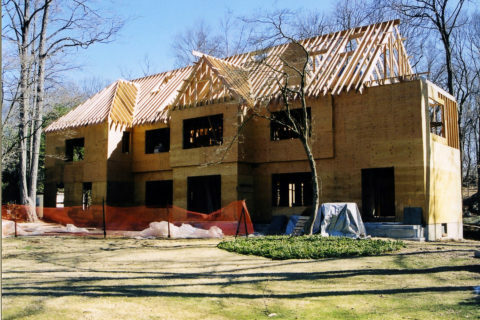 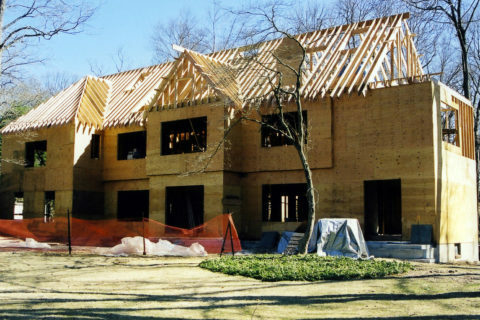 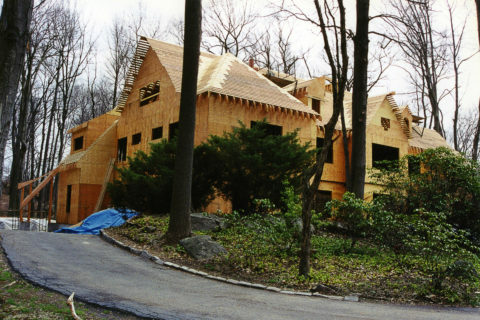 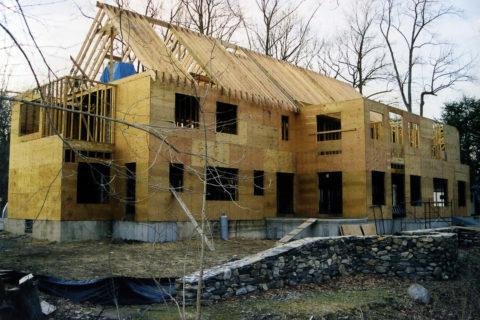 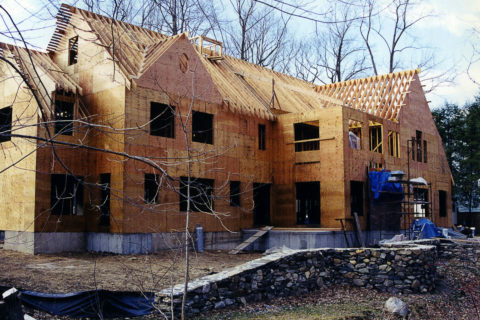 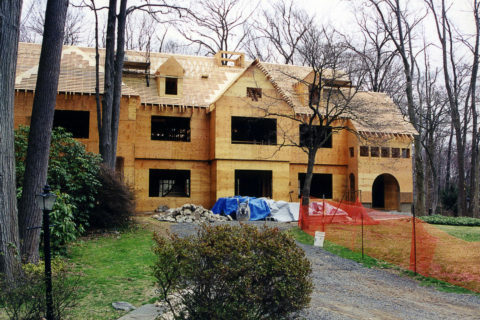 The new structure both utilizes and expands upon the previous home’s foundation. 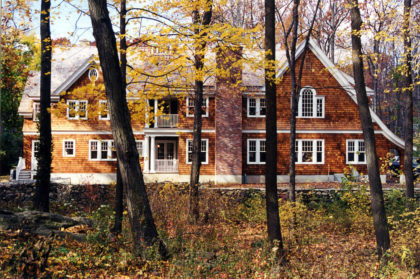 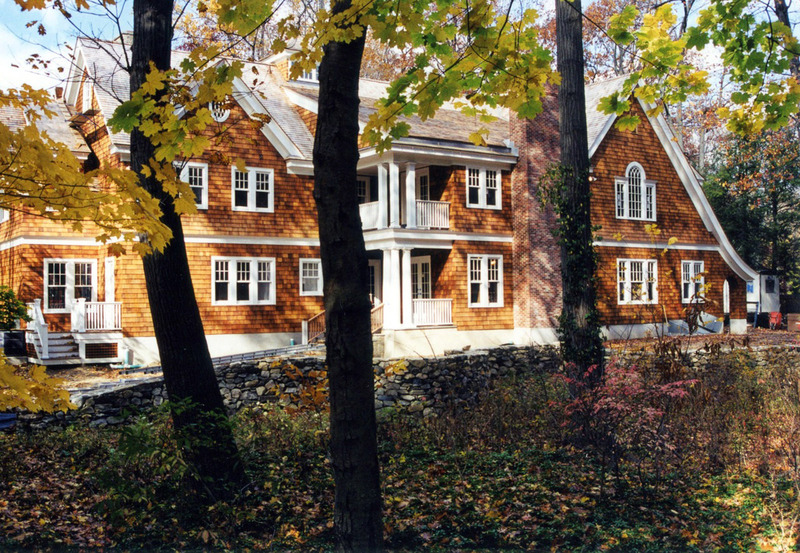 The Georgian symmetry of the central mass of the street façade is bracketed by the subordinate hip roof of the garage wing and sweep of the main roof over the library terrace. 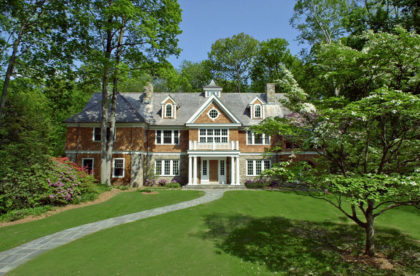 The gable front of the projecting entry pavilion is punctuated by the stacked clerestory windows of the entrance hall and Tuscan columns of the covered landing. 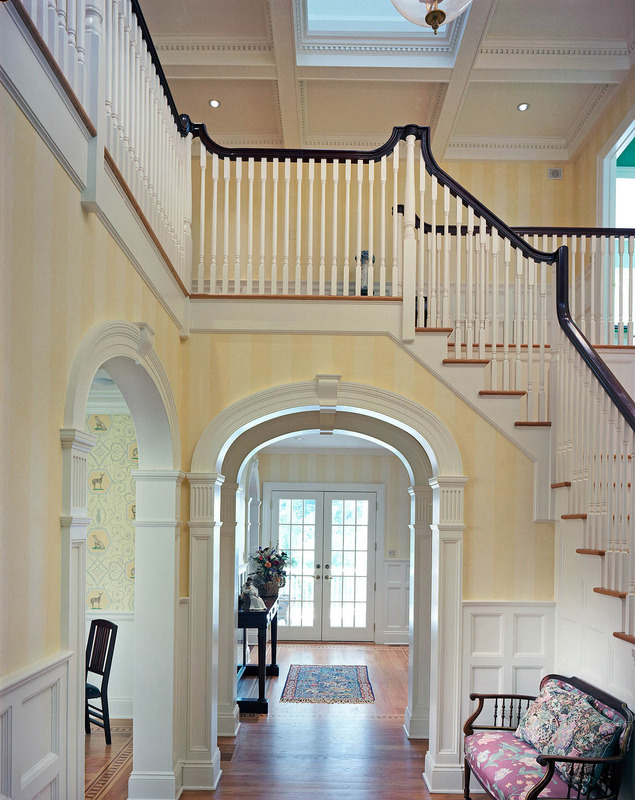 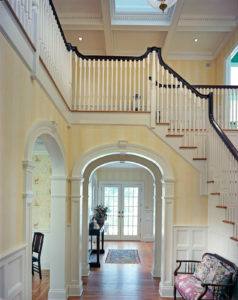 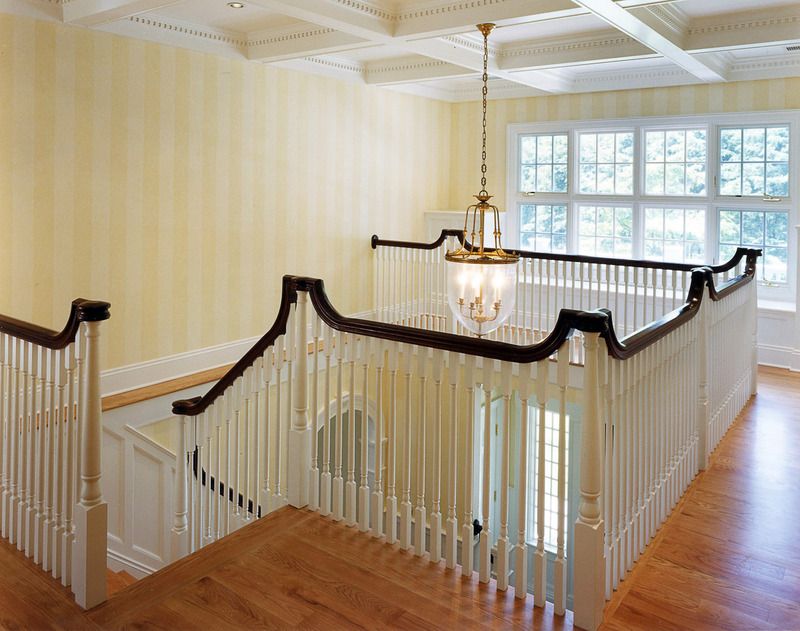 Inside the home, the two-story entry hall and staircase form the heart of the house with extensive detailed wall paneling and elliptical trimmed openings to all principal rooms. A light shaft extending up through the entry hall’s coffered ceiling to the windowed roof cupola bathes the second-floor stair landing in natural light.